Jaguar Land Rover showed three new vehicles at the New York Motor Show recently, alongside the widest range in the history of the company. Developed and engineered by Jaguar Land Rover Special Operations, the F-Pace SVR is the fastest and most powerful version of this award-winning SUV. The F-Pace won the 2017 World Car of the Year award and design award, as well as numerous other global awards. The Jaguar I-PACE is the electric vehicle drivers have been waiting for. 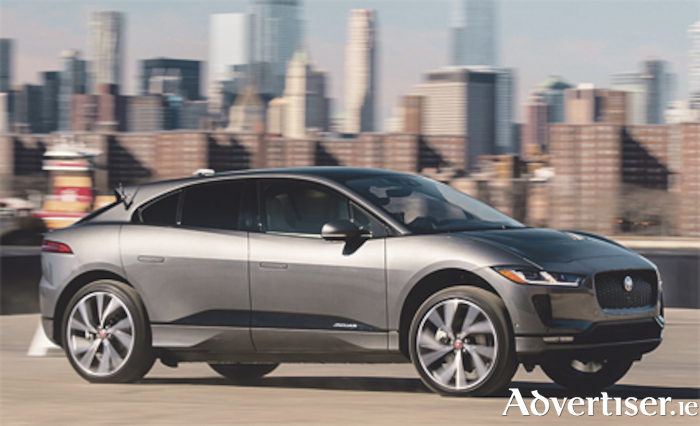 Clean, smart and safe, the I-Pace delivers sustainable sports car performance, next-generation artificial intelligence (AI ) technology and five-seat SUV practicality to place Jaguar at the forefront of the EV revolution. With a state-of-the-art 90kWh lithium-ion battery using 432 pouch cells, I-PACE delivers a range of up to 480km (WLTP cycle ). Owners will be able to achieve a zero to 80 per cent battery charge in 40 minutes using DC charging (150kW ). Fifty years after Land Rover created the Range Rover, it brings to market the fastest and most luxurious Range Rover yet: the SV Coupé. A beautifully curated interior sets new standards for materials and craftsmanship, with extensive personalisation options for SV Coupé clients. Only 999 models will be available. Jaguar Land Rover now has its largest range ever, demonstrating breadth of capability with design and engineering excellence at the forefront of every vehicle. From 2020, all new Jaguar Land Rover vehicles will be electrified, giving customers even more choice. A portfolio of electrified products will be introduced across the entire model range, embracing fully electric, plug-in hybrid and mild hybrid vehicles as well as continuing to offer ultra-clean petrol and diesel engines.